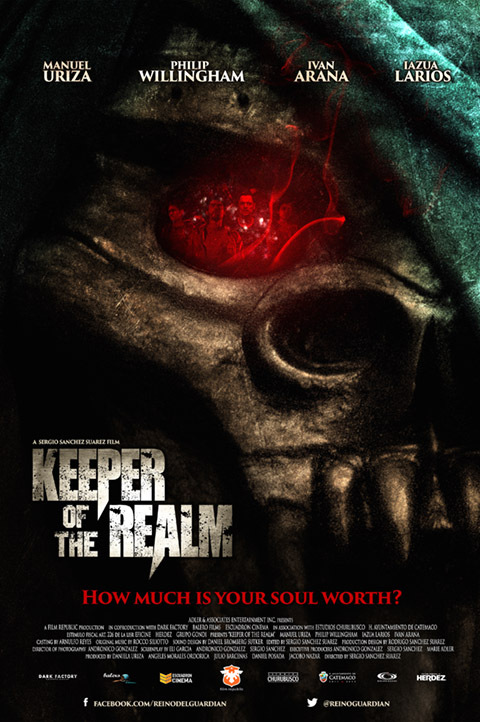 Keeper of the Realm – Adler & Associates Entertainment, Inc.
From Sergio Sánchez Suárez, the acclaimed director of the international hit “Tequila”, this pulse-pounding thriller is the story of a three-man professional rescue team called upon to locate a group of missing tourists in the Mexican jungle. In the process they discover an ancient golden statue of unimaginable value, which they steal, not realizing that they have awakened the evil guardian spirit inhabiting the idol. Poisoned by greed and manipulated by the supernatural being, the three friends slowly turn on each other as the malevolent spirit leads them towards their own destruction.